At first I didn’t realize this was the artist inspecting his work. 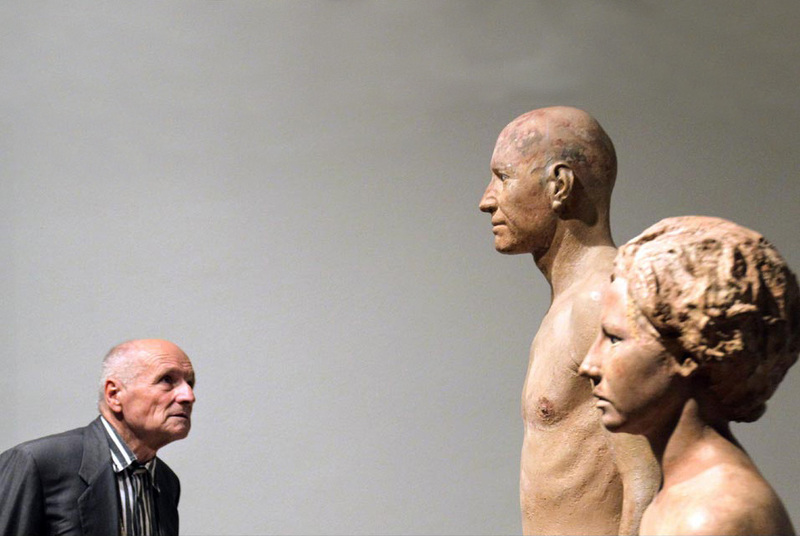 I like the photo much more when I imagine the old man to be a somewhat intimidated museum-goer. That’s awesome! He’s a very talented and versatile artist.